On my recent travels to Boston, I stayed a few nights on Boston’s South Shore in a llama barn. 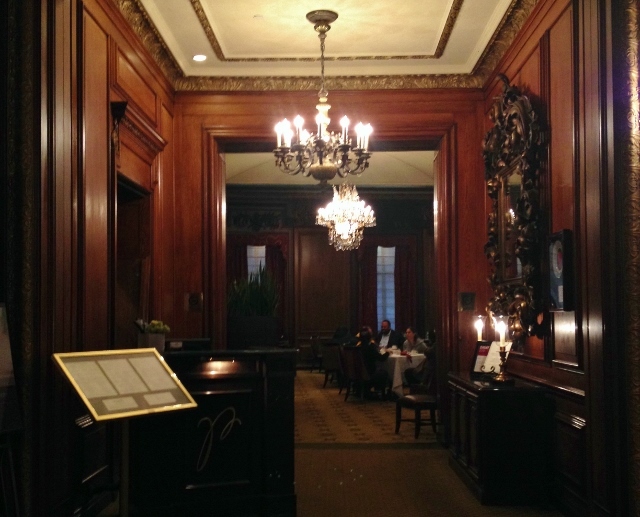 It was beautiful, secluded, quiet…And then I spent a few nights at the lovely, historic Parker House, right in the hubbub of Boston’s Financial District. While the area certainly isn’t secluded or quiet, it’s rich with history and the Parker House itself is grand. Oh, and the food? It, too, was grand! Let me share a little about the hotel before I dive into the food. 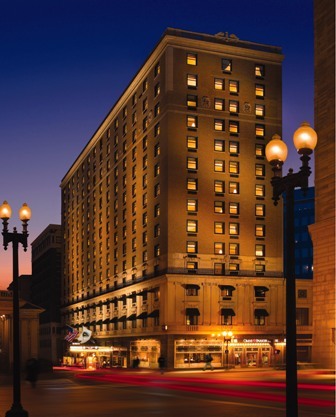 Built in 1855, it is the oldest continually operating hotel in the U.S. So many notable authors met at Parker House for conversation, poetry readings and book critiques, amongst them Ralph Waldo Emerson, Nathaniel Hawthorne and Henry Wadsworth Longfellow. Dickens’ first American reading of A Christmas Carol was held at the Parker House. 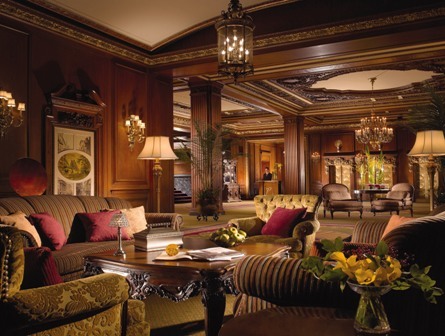 Sitting in the lobby, I thought about how many presidents had also stayed here, including Franklin Delano Roosevelt, John F. Kennedy, and William Jefferson Clinton. JFK’s bachelor party was even held at Parker House! The history here runs deep, as does the luxury. 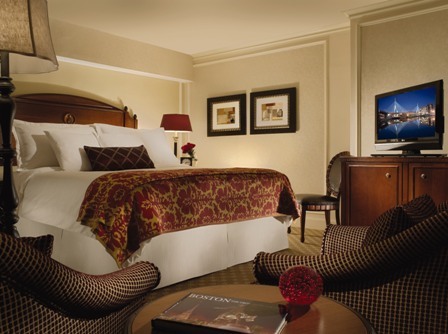 The common areas as well as our room, were well-appointed, the staff professional and attentive to our needs. The feel of old luxury is still very much present here. But I really feel it is the food most would know the Parker House by. 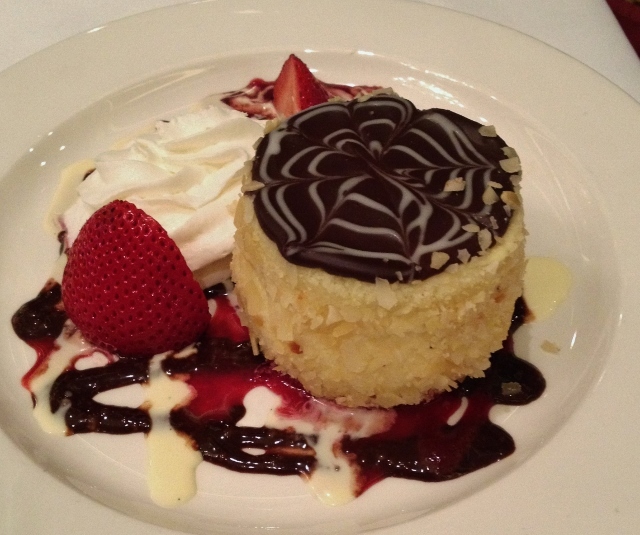 Heard of Boston Cream Pie? Created here in the nineteenth century! How about Parker House Rolls? Now you know, this is where they originated. They were created by German baker Ward, who worked under chef John Bonello in the 1870s. The recipe was kept secret until 1933, when Franklin and Eleanor Roosevelt requested it. So much fascinating culinary history at Parker House, including that Ho Chi Minh worked in the bakery from 1911 to 1913, Malcolm X worked as a bus boy in the early 1940’s and Emeril Lagasse honed his culinary skills here. With all of that rich culinary history, I knew I would be partaking in a meal at Parker House. 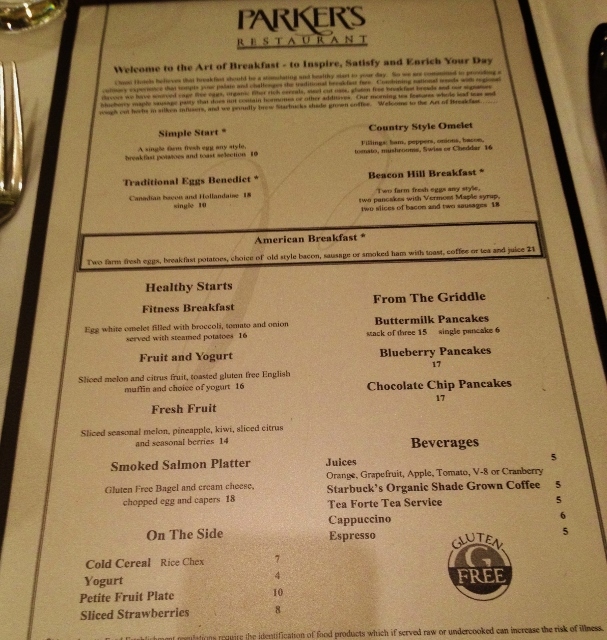 I dropped into Parker’s Restaurant near the end of breakfast service on the first day of our stay. 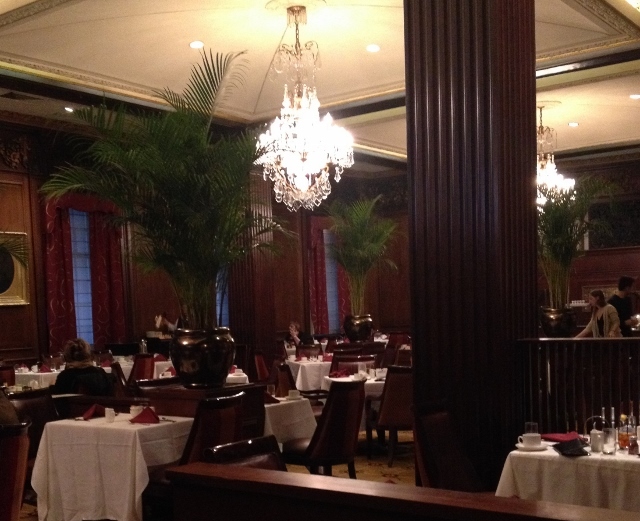 In a dining room rich with carved wood and opulent Waterford crystal chandeliers, I asked the gentleman staffing the breakfast buffet if he could share gluten-free options with me. He let me know there was an extensive gluten-free menu available as well as gluten-free options on the buffet. Those options included a loaf of fresh baked gluten-free bread, but I would pass on that as it was displayed near other gluten-full items. I asked to see the gluten-free menu on the way out and was so excited to see it was indeed an extensive menu! The next morning I had breakfast with my favorite fella while we planned the day’s sightseeing activities. We planned to walk the Freedom Trail, which conveniently runs right by the hotel. Knowing we would walk many miles that day, I chose pancakes. It was a tough decision, plain, chocolate chip or blueberry. After much deliberation, I went with blueberry and my fella chose an omelet. I confirmed with our server multiple times that my pancakes would be prepared with great care, as I am not gluten-free by choice. He was incredibly patient and understanding. 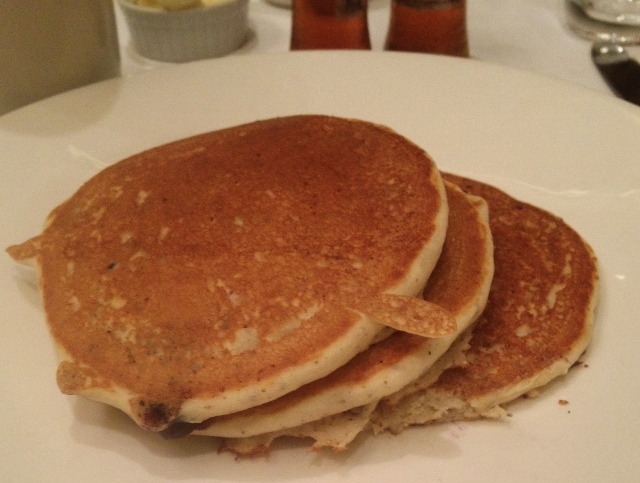 The pancakes….oh, the pancakes! They were light, fluffy, full of juicy blueberries. Perfection. 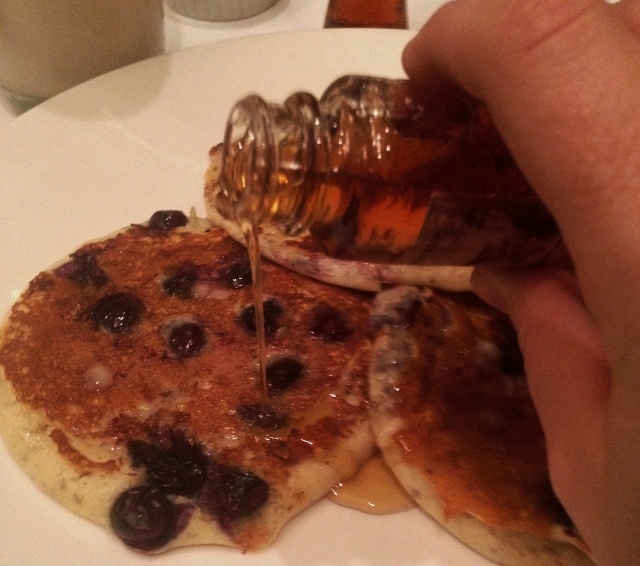 Plus I’m a sucker for tiny little bottles of real maple syrup. 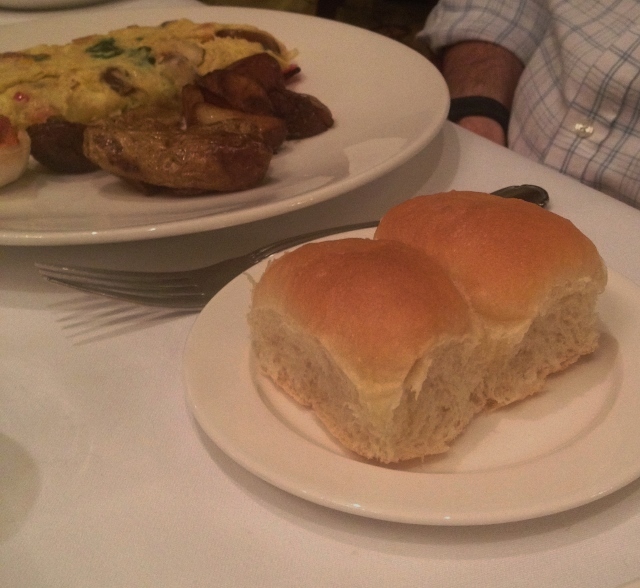 My fella, who eats gluten away from home, decided to skip toast with his omelet and try out the famed Parker House rolls. He said nice things like, “Oh, they are pretty good. Not as good as your butterhorn rolls, but they are good.” He must feel an obligation to say those kind of things so I’ll continue baking for him, I suppose. From what I could see, they were soft, crustless rolls. I also noticed they disappeared from his plate quickly. Never mind that it was early in the morning, he also ordered Boston Cream Pie. I appreciate that they have no hesitation at all in serving dessert as the sun rises. This little beauty left me wishing they offered a gluten-free counterpart. I wouldn’t hesitate to eat cake (which is really what Boston Cream Pie is) for breakfast if it was offered! 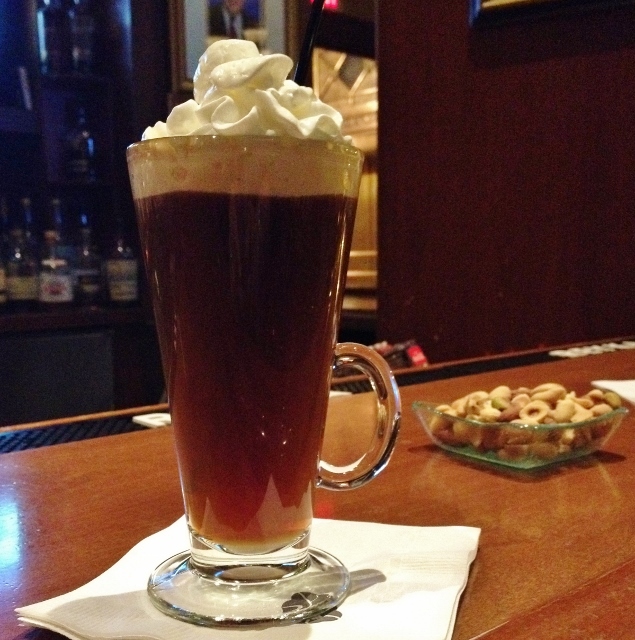 My other culinary wanderings at Parker House included a late night trip to the bar, The Last Hurrah. Dark wood on nearly every surface, framed photos of the many celebrities and politicians who have imbibed here, low lighting and a great bourbon selection made for the perfect setting to end a long day of sightseeing. The bartender quietly replaced our oft-emptied dish with warm cashews and almonds while we indulged in Kentucky Coffee (think Irish coffee with bourbon instead of whiskey). While we weren’t plotting a political coup or discussing our latest literary quests as many of the Parker House guests in the past certainly have in the bar, we did discuss our next visit to Parker House. It’s too lovely a hotel to stay at only once in a lifetime. Eat With: Moderate Caution. At the time of my visit, a gluten-free menu was offered. There were gluten-free options on the breakfast buffet, however I would probably skip that and instead order from the menu, making certain the staff relayed your dietary restrictions to the kitchen staff. 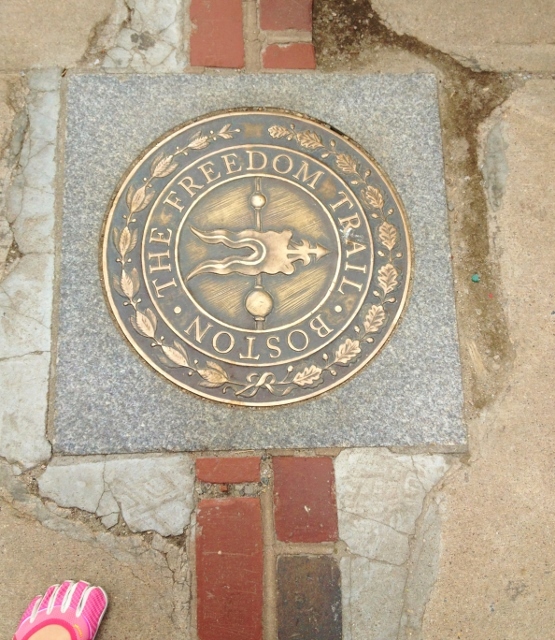 Travel Tip: Walk the Freedom Trail. Passing through 16 historic spots, this 2.5 mile trail, marked with a red brick line, is an enjoyable walk through much of Boston. While we wandered a bit off of the trail to partake in more of Boston’s history, the trail was a very good foundation for a self-guided tour of Boston’s history. I downloaded a smartphone app of the Freedom Trail, but found it unnecessary as the trail is very well marked and easy to follow. 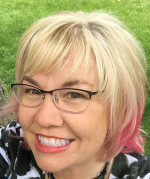 Photo Credit: The first three photos in this post are compliments of Omni’s press room visual library. All other photos are mine.